A nice clean place with friendly staff. The staff escorted us to buy train tickets and look for items in the town with is a blessing when you don't speak the local language. 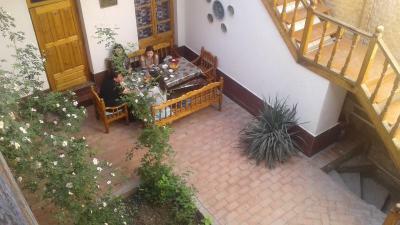 We had a room above a pretty central courtyard that is probably beautifully cool and shady on hot summer days. 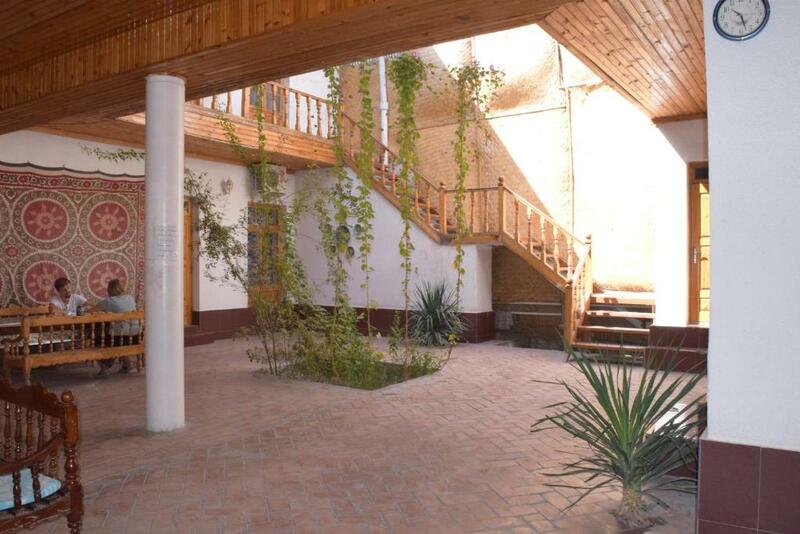 The location couldn't have been better - about a minute's walk from the Lyab-i-Hauz in the centre of old Bukhara. Breakfast was provided in our room, brought to the door each morning. The hotel was able to arrange a taxi to take us to the train station very early at the end of our stay. Breakfast is great! We got on train to Tashkent night time, then they allowed us to rest public space until 9:00pm. Thank you so much! 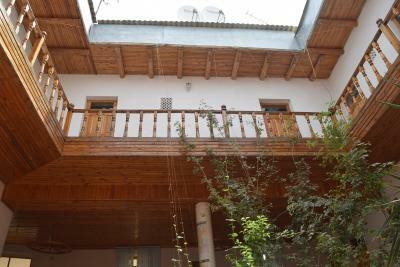 The owner is friendly and flexible, and the price is unbeatable for the location, right next to the synagogue and a minute away from Lyab-i-Huaz. 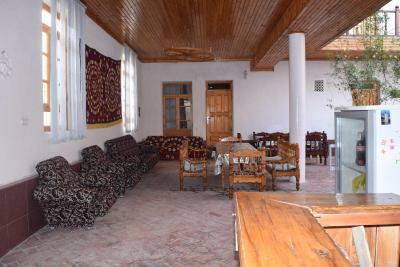 Rooms are very basic but air conditioned and big enough. The hotel is clean and comfortable. The staff is very friendly and helps wherever they can. We enjoyed our stay very much. Very nice place to stay. The owner turned out the WiFi at night, but everything else was just great. He also organized us a german speaking tour guide! 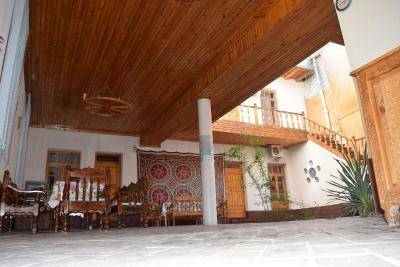 Great location, friendly staff, nice and quiet inner yard. Good breakfast whenever you want. Завтрак в отеле нормальный, без изысков, но с вареньем абрикосовым, что я люблю! :) Расположение удачное, в переулке, поэтому чуть в стороне от туристического шума, но и совсем рядом от Ляби хаус. До других достопримечательностей Бухары тоже недалеко, в пешей доступности. Самое прекрасное в этом гостевом доме - это его месторасположение, в самом центре старого города! Located in Bukhara, Hotel Otkirbek provides a terrace and free WiFi. 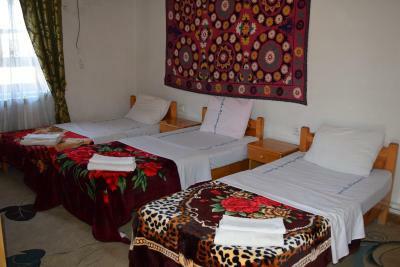 All rooms feature a kitchen, a flat-screen TV with satellite channels, and a private bathroom. The property has a 24-hour front desk. 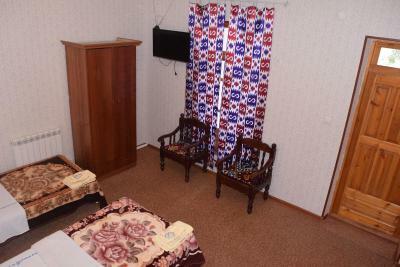 At the guesthouse, rooms include a desk. 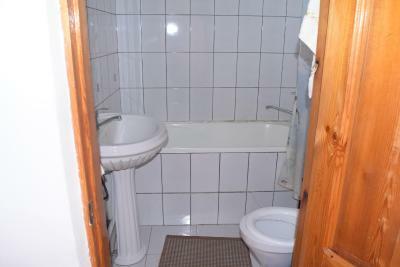 The shared bathroom is equipped with a bath. 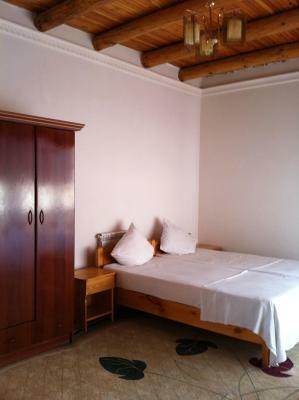 Guest rooms at Hotel Otkirbek include air conditioning and a closet. 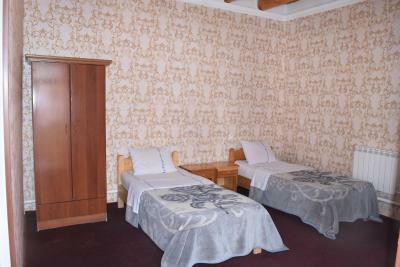 When would you like to stay at Hotel Otkirbek? House Rules Hotel Otkirbek takes special requests – add in the next step! The room was far too warm with no obvious way to adjust the heating. There was also no loo paper and the toilet didn't flush properly, though in credit to the staff they fixed this very quickly when we asked. 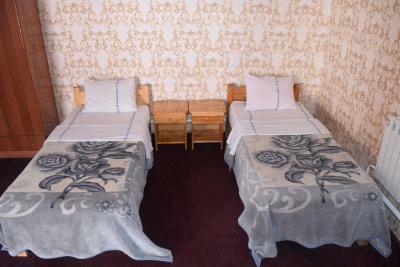 I would recommend knowing some Russian or Uzbek if staying here as the owner's English is quite limited. 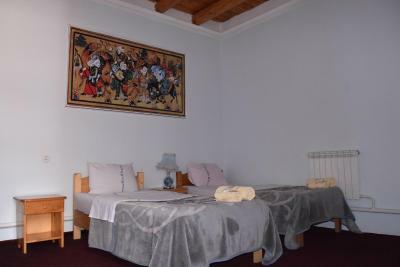 Not the room we booked (large double bed and got 5 single beds). Photos dont match reality. Bad beds with springs. Cold room with not enough blankets. Take your own toilet paper and dont even bother with the shower. Especially when it it is cold weather! Tourist help consisted of "let me call you a taxi" Kept our passports for the duration of stay. Weak wifi (like most places in Uzbekistan). 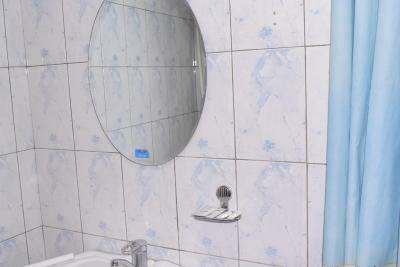 Nice bathroom but partly weak water pressure in the shower. Some rooms have only windows to the inner yard (and ac). The wifi is pretty weak, but good enough to send messages, e-mails and check maps. The hotel needs a revamp, but for that price you can't really complain. Breakfast was also quite light, but there are fantastic restaurants such as Minzifa two minutes away, so make sure to walk around everywhere in the neighbourhood.